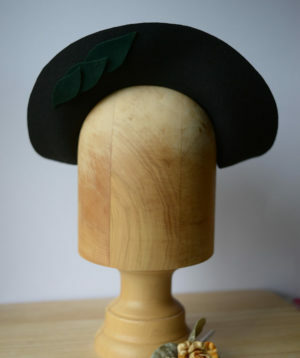 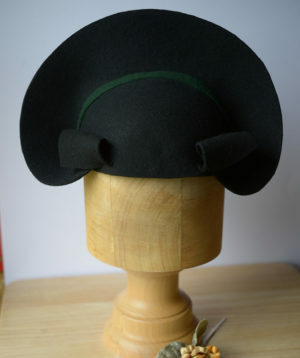 A flamboyant hat for the brave. 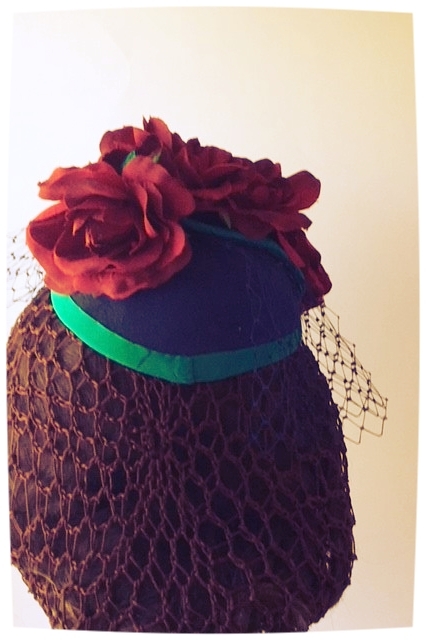 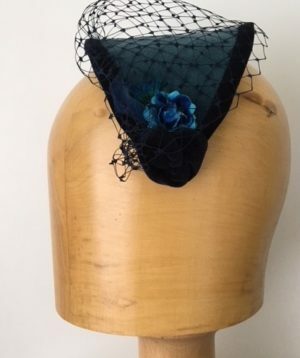 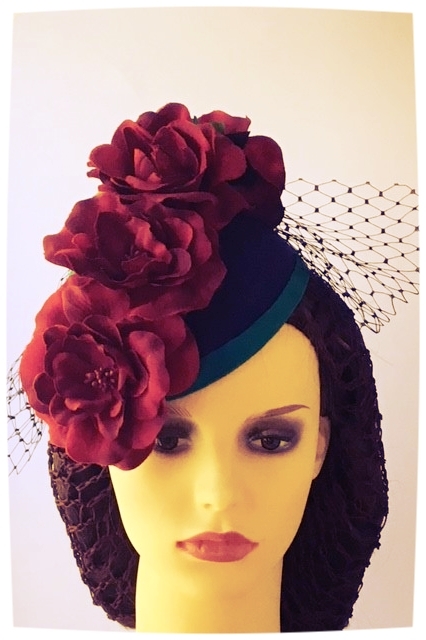 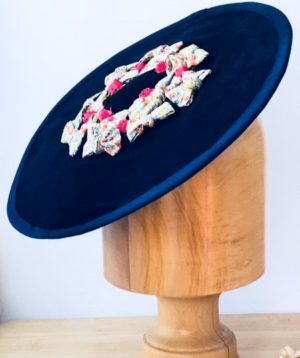 A simple hatinator base in blue felt edged with green satin is sat under a cascade of vintage burgundy flowers and blue net. 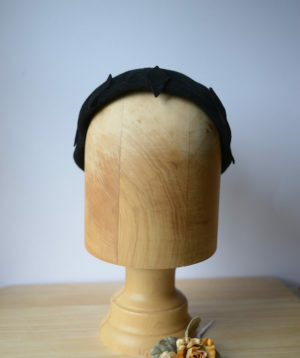 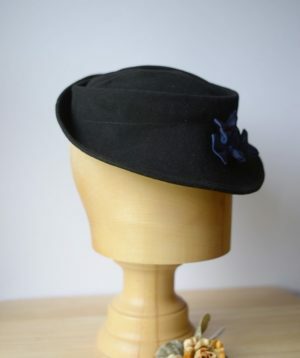 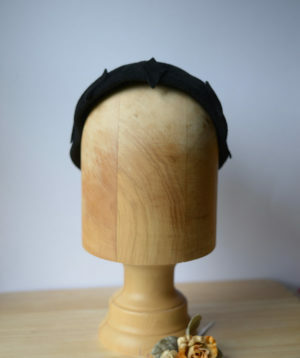 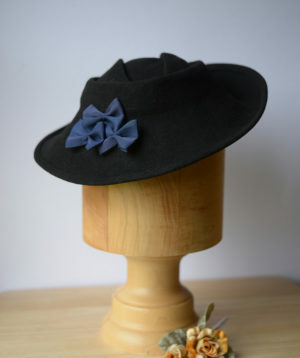 A statement hat for a simple outfit.